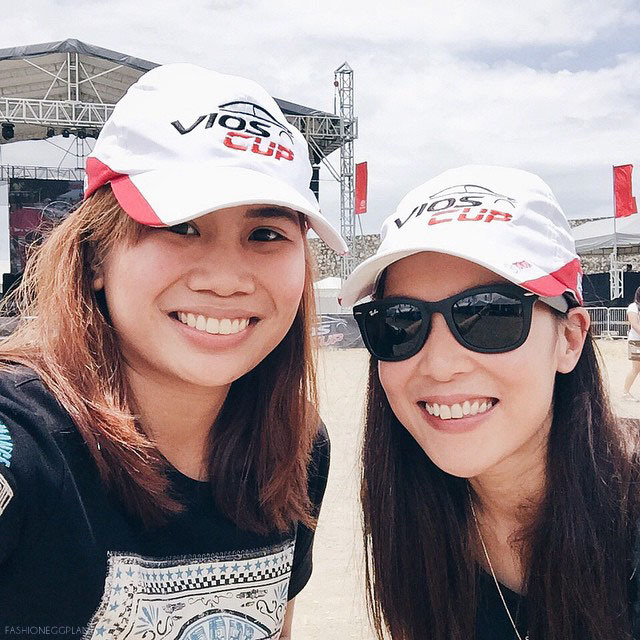 TOYOTA VIOS CUP 2 CEBU DAY 2 - RACE DAY! What makes a race exciting? For me, it's definitely the level of competitiveness between racers. 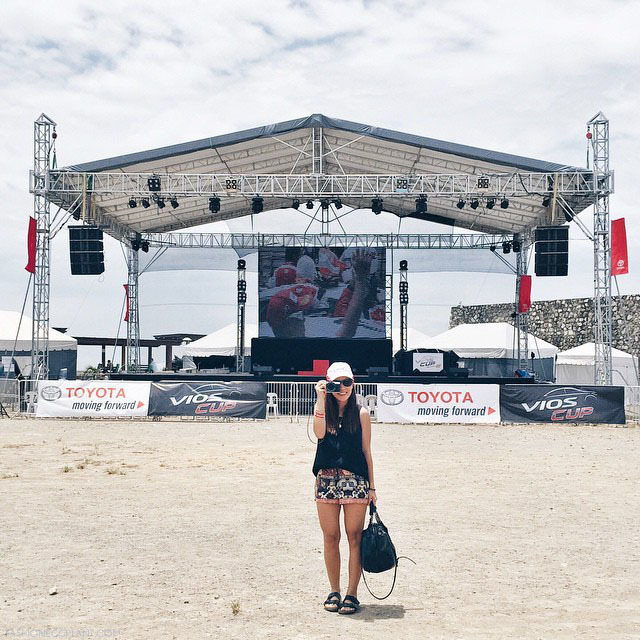 Much to my surprise, the 2nd leg of the Toyota Vios Cup Cebu was definitely not lacking in excitement. Old rivalries were reignited, some bumpers were torn off cars and someone even had the guts to bump into Toyota's Japanese president. South Road Properties - a picturesque area of Cebu City with and oceanside view. The day was sweltering hot but the sun could not keep spectators away from viewing their favorite stars. You could feel the frenzy in the air and the over-all vibe was awesome. I wasn't expecting it to be filled with so much drama and commotion. I went there thinking it would be a steady, friendly race. More for promotion than personal gain. But no, everyone was so competitive, even the celebrities (looking back, probably even more than the pros). A good example would be Jasmine Curtis Smith who poled at 7 during day 1 of qualifying despite not knowing how to drive a stick prior to the cup. On the morning of Day 2, she blew her engine. I think this was due to a lack of experience combined with an eagerness to push her car to the limit and finish in the top 10 (at least). Because of the incident, she was unable to participate in the actual race. You could feel her frustration as she relayed what happened during an interview. She vows to be back with more experience under her belt for leg 3. So watch out for this kiddo! Jasmine's blown engine was only the first mishap. 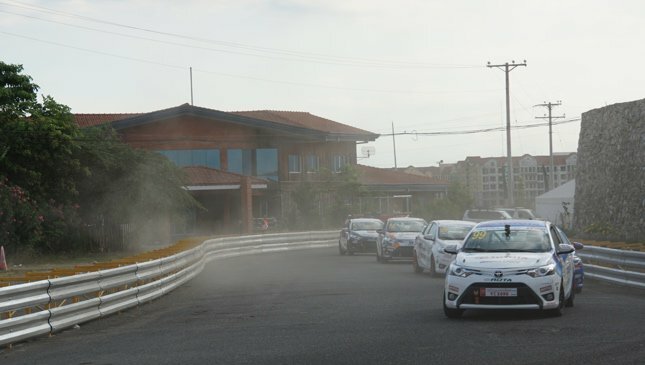 Throughout the day, numerous bumpers and bumper parts littered the track as drivers tried and failed to maneuver tight corners and overtake opponents. 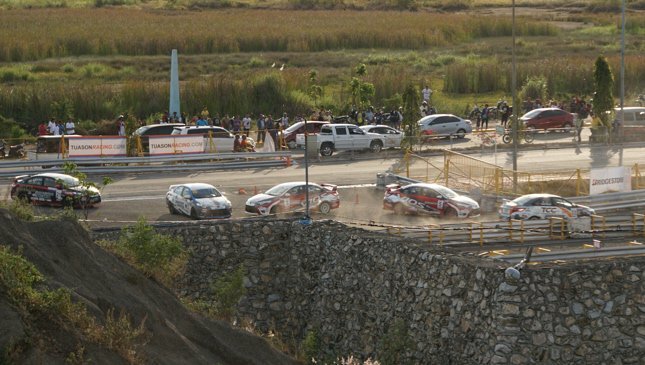 One of the most memorable fender benders of Leg 2 was when Japanese-Brazilian model, Fabio Ide crashed into the car of Toyota's Japanese president. To say he was mortified is a gross understatement. 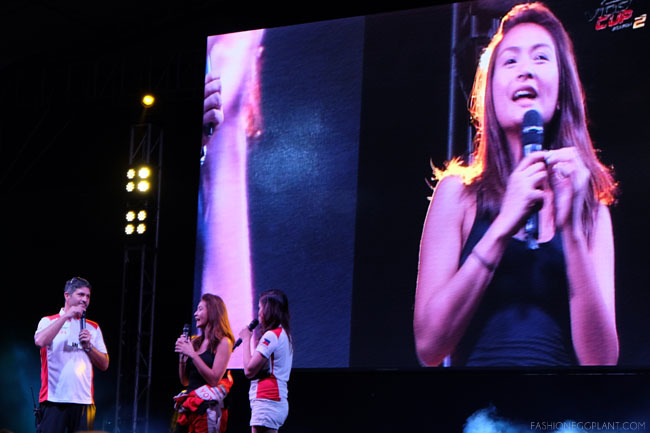 But of course, at the end of the day, everything was in the name of fun and you could definitely sense the camaraderie between racers especially during the awarding ceremonies where they jovially teased and taunted each other constantly. 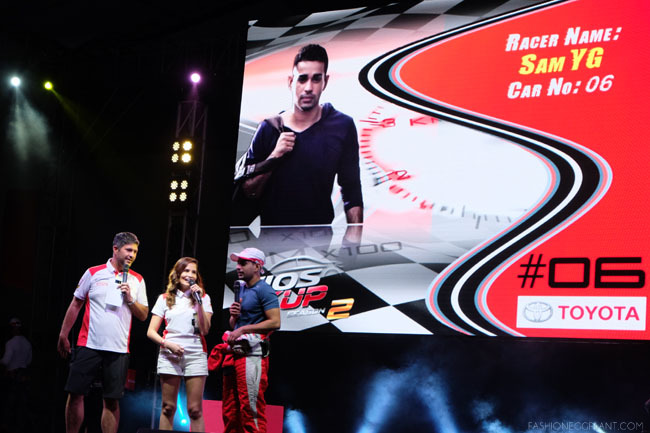 And at the center of it all, defending and grabbing the no.1 spot for a second year in a row is Sam YG. No other celebrity could even come close to him. This guy's not only hilarious, he's also got some pretty mad driving skills under his belt. The struggle for 2nd place was a whole different story though. Straight out of a teleserye. It was an intense battle of sorts between Phoemela Baranda, Derek Ramsay and Paolo Rodriguez. Theirs was a frenzied scramble with (according to Phoemela:) "questionable passes" by Paolo Rodriguez. Paolo Rodriguez on the other hand was quick to defend himself saying he was hit in the rear bumper by Phoem on purpose. Watching them banter on stage endlessly was quite amusing but it didn't take away from Phoem's impressive driving ability (she drives like a dude, seriously). 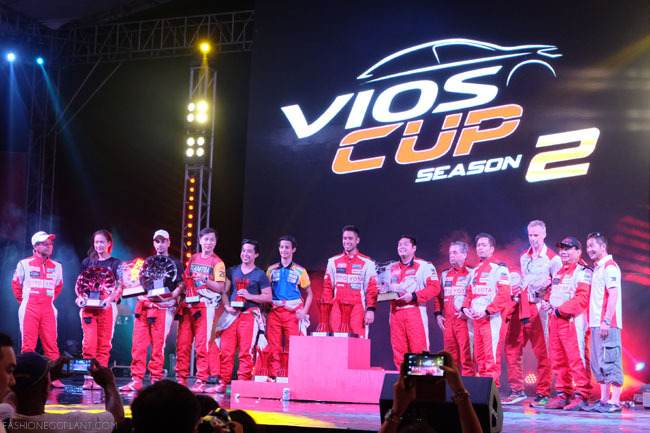 Vios Cup Season 2 was way more fun than I expected. It was an unforgettable moment for me and it left me longing to participate in an actual race next time. 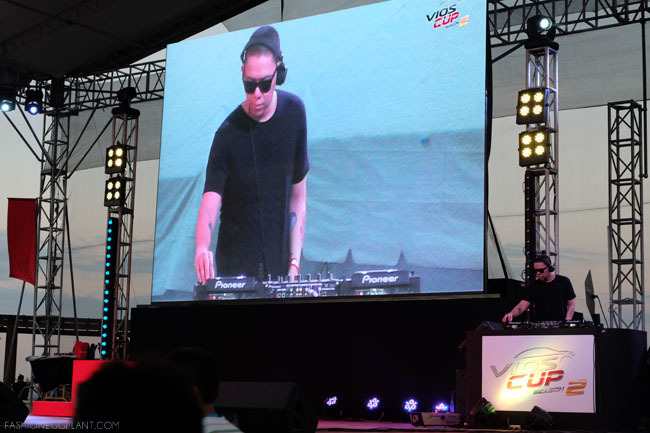 Thank you Toyota Philippines for allowing me to be part of a truly Wakudoki experience!